PUTTING children first is central to the work of Family Mediation, writes Louise Thomason, in the latest of our profiles of voluntary organisations based at Lerwick’s Market House. The service provides a safe and impartial environment for parents to discuss arrangements for their children and family post separation, and an opportunity to avoid the financial and emotional implications of going to court. The project is run by Shona Manson, who mediates and supervises two other staff. Family mediation services have existed in Shetland since 1997, originally through social work before being taken over by the voluntary sector in 1999. In 2007, the service was relaunched with the recruitment of Ms Manson. In Scotland, it is not mandatory to see family mediators following a divorce or separation, however solicitors and sheriffs will advise that folk do. She explained that seeing couples is a “well managed process”. At a first appointment people are seen individually, to screen for any issues that might get in the way of them coming together in a mediation setting, before coming together to speak. Ms Manson said: “We do a full risk assessment, make sure that people are safe and ok with being in the same room… most people that have separated that are in high conflict really don’t want to be in the same room, but as long as there’s no danger or safety issues that’s actually going to make things worse we do encourage folk to use our service. “It’s future focused, so what it doesn’t do is go back over why you separated or what the problems were. Occasionally children will be consulted directly to minimise conflict when a decision is being made: “What we’re not doing is allowing bairns to make decisions, but making sure that they feel heard, and that then gets fed back to the parents. As well as the core service, Family Mediation can also help families stay together and work on any issues they are having as a family unit. ‘Intergenerational mediation’ or Talking Families provides support for families with children and teenagers to work through issues and try to prevent fall-outs that lead to, for example, young people being made homeless. 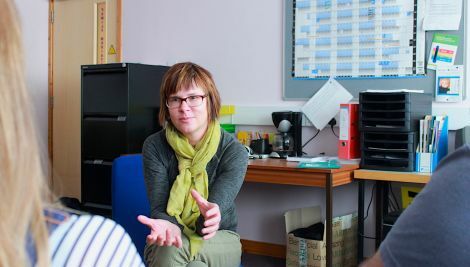 This service comprises a team made up of a counsellor, mediator, health visitor and social worker who have all undertaken some training in systemic family therapy, and is supported by a fully qualified family therapist. All of these services are of course reliant on funding. Family Mediation Shetland is affiliated to Relationship Scotland and thus their core funding comes from the Scottish Government, but they also receive smaller pots of money from Shetland Islands Council. The project is looking for funding to expand to provide a space where parents who are separated can come with their children if they don’t have suitable accommodation, or to use it as a simple handover space in situations where conflict is so high that parents can’t be in the same room together. There are around 45 of these types of contact centres in Scotland, but Shetland currently doesn’t have one. In the nine years since the service was relaunched, Ms Manson said they had worked with around 450 families. Whilst this may seem bleak, when considering these are families that have been helped to resolve their issues – often before conflict really arises, in reality it is a very positive number. Family Mediation is based at Market House, Lerwick. For more information or to contact the team go to http://www.shetland-communities.org.uk/fms, telephone 01595 743859 or email familymediation@shetland.org.